Even though the signs of liver cancer are vague and not apparent in initial stages still anybody experiencing unusual signs must visit a doctor who may order few tests to reach the diagnosis. 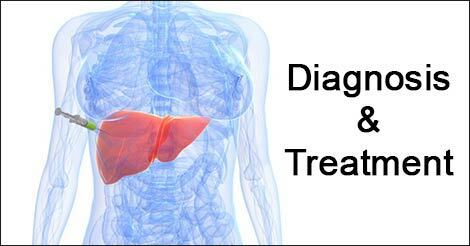 The post contains brief knowledge about liver cancer detection and its available treatments. The serum marker test is used to measure the amount of certain cancerous substance. The alpha-fetoprotein (AFP) can be seen in higher level in case of liver cancer. Liver enzymes are often elevated, indicating an underlying liver problem. X-rays with different frequencies are used to take precise location and size of the images of the organ. This test produces highly clear images of human body by using magnetic waves, radio wave and computer angiogram. Sometimes a dye is also used in these tests to view the inside of the liver tissue more clearly. A thin lighted tube is used to observe the interior of the liver. The laparoscopy is used for biopsy (removal or examination of tissue under microscope), which is most reliable way to diagnose the cancer. The treatment of liver cancer can be done by methodologies such as chemotherapy, surgery or percutaneous ethanol injection. Liver cancer cure depends on the factors such as a person's health or the functioning of the liver or the levels of alpha-fetoprotein. A process to kill cancerous tissue with the help of electrodes. The process includes the removal of some parts of the liver by starting from a small wedge to the whole are. Replacing the liver with some other person's (donor) liver. This is administration of medication to kill the cancerous cells administered through oral or intravenous route. Our liver plays a crucial role in secreting bile, detoxifying substances, and producing hormones. People who have any symptoms of liver cancer should see their doctor immediately. The physician may consider your complete health checkup and may prescribe some screening tests. 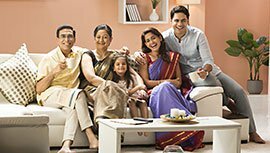 Getting your detailed analysis by Indus Health Plus or any other reputed healthcare provider can help in getting accurate results and if needed, treatment can be started. If you have any doubt related to liver cancer, connect with us by filling the form.